Hi there! You may have recently heard of 1I/’Oumuamua, initially known as C/2017 U1, then A/2017 U1 (see here), where C stands for comet, A for asteroid, and I for interstellar object. This small body visited us last fall on a hyperbolic orbit, i.e. it came very fast from very far away, flew us by, and then left… and we shall never see it again. ‘Oumuamua has probably been formed in another planetary system, and its visit has motivated numerous studies. Some observed it to determine its shape, its composition, its rotation… and some conducted theoretical studies to understand its origin, its orbit… The study I present you today, Where the Solar system meets the solar neighbourhood: patterns in the distribution of radiants of observed hyperbolic minor bodies, by Carlos and Raúl de la Fuente Marcos, and Sverre J. Aarseth, is a theoretical one, but with a broader scope. This study examines the orbits of 339 objects on hyperbolic orbits, to try to determine their origin, in particular which of them might be true interstellar interlopers. This study has recently been accepted for publication in The Monthly Notices of the Royal Astronomical Society. I detail the discovery of ‘Oumuamua there. Since that post, we know that ‘Oumuamua is a red dark object, probably dense. It is tumbling, i.e. does not rotate around a single rotation axis, in about 8 hours. The uncertainties on the rotation period are pretty important, because of this tumbling motion. Something really unexpected is huge variations of brightness, which should reveal either a cigar-shaped object, or an object with extreme variations of albedo, i.e. bright regions alternating with dark ones… but that would be inconsistent with the spectroscopy, revealing a reddish object. This is why the dimensions of ‘Oumuamua are estimated to be 230 × 35 × 35 meters. One wonders where ‘Oumuamua comes from. An extrapolation of its orbit shows that it comes from the current direction of the star Vega, in constellation Lyra… but when it was there, the star was not there, since it moved… We cannot actually determine around which star, and when, ‘Oumuamua has been formed. Anyway, it was a breakthrough discovery, as the first certain interstellar object, with an eccentricity of 1.2. But other bodies have eccentricities larger than 1, which make them unstable in the Solar System, i.e. gravitationally unbound to the Sun… Could some of them be interstellar interlopers? This is the question addressed by the study. If you want to understand what I mean by eccentricity, hyperbolic orbit… just read the next section. The simplest orbit you can find is a circular one: the Sun is at the center, and the planetary object moves on a circle around the Sun. In such a case, the eccentricity of the orbit is 0. Now, if you get a little more eccentric, the trajectory becomes elliptical, and you will have periodic variations of the distance between the Sun and the object. And the Sun will not be at the center of the trajectory anymore, but at a focus. The eccentricity of the Earth is 0.017, which induces a closest distance of 147 millions km, and a largest one of 152 millions km… these variations are pretty limited. However, Halley’s comet has an eccentricity of 0.97. And if you exceed 1, then the trajectory will not be an ellipse anymore, but a branch of hyperbola. In such a case, the object can just make a fly-by of the Sun, before going back to the interstellar space. Wait, it is a little more complicated than that. In the last paragraph, I assumed that the eccentricity, and more generally the orbital elements, were constant. This is true if you have only the Sun and your object (2-body, or Kepler, problem). But you have the gravitational perturbations of planets, stars,… and the consequence is that these orbital elements vary with time. You so may have a hyperbolic orbit becoming elliptical, in which case an interstellar interloper gets trapped, or conversely a Solar System object might be ejected, its eccentricity getting larger than 1. Close encounter with a star. The authors identified 339 objects, which had an eccentricity larger than 1 on 2018 January 18. The objects were identified thanks to the Jet Propulsion Laboratory’s Small-Body Database, and the Minor Planet Center database. The former is due to NASA, and the latter to the International Astronomical Union. Once the authors got their inputs, they numerically integrated their orbits backward, over 100 kyr. These integrations were made thanks to a dedicated N-body code, powerful and optimized for long-term integration. Such algorithm is far from trivial. It consists in numerically integrating the equations of the motion of all of these 339 objects, perturbed by the Sun, the eight planets, the system Pluto-Charon, and the largest asteroids, in paying attention to the numerical errors at each iteration. This step is critical, to guarantee the validity of the results. And here is the result: the authors have found that some of these objects had an elliptical orbit 100 kyr ago, meaning that they probably formed around the Sun, and are on the way to be expelled. The authors also computed the radiants of the hyperbolic objects, i.e. the direction from where they came, and they found an anisotropic distribution, i.e. there are preferred directions. Such a result has been obtained in comparing the resulting radiants from the ones given by a random process, and the distance between these 2 results is estimated to be statistically significant enough to conclude an anisotropic distribution. So, this result in not based on a pattern detected by the human eye, but on statistical calculations. In particular, the authors noted an excess of radiants in the direction of the binary star WISE J072003.20-084651.2, also known as Scholz’s star, which is currently considered as the star having had the last closest approach to our Solar System, some 70 kilo years ago. In other words, the objects having a radiant in that direction are probably Solar System objects, and more precisely Oort cloud objects, which are being expelled because of the gravitational kick given by that star. Do we know just one, or 9 interstellar objects? Or between 1 and 9? Or more than 9? This is actually an important question, because that would constrain the number of detections to be expected in the future, and have implications for planetary formation in our Galaxy. 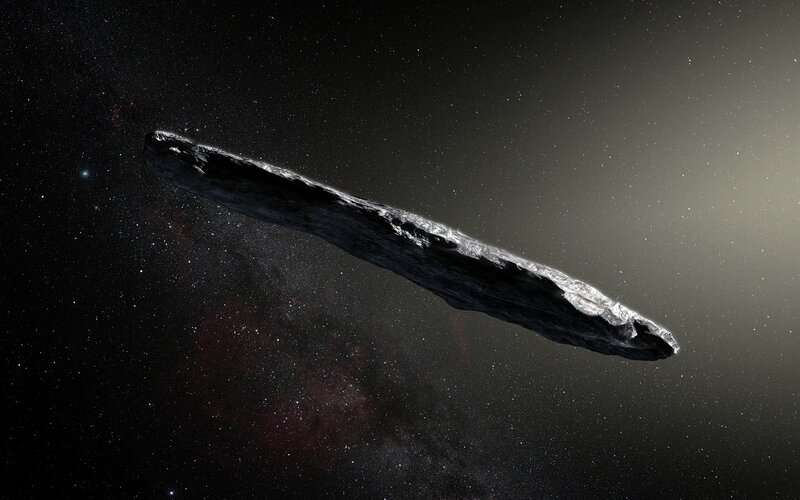 And if these objects are interstellar ones, then we should try to investigate their physical properties (pretty difficult since they are very small and escaping, but we did it for ‘Oumuamua… maybe too late for the 8 other guys). Anyway, more will be known in the years to come. More visitors from other systems will probably be discovered, and we will also know more on the motion of the stars passing by, thanks to the astrometric satellite Gaia. Stay tuned! The webpage of Sverre J. Aarseth, and this websitededicated to N-body simulations. Hi there! You may have heard of Chiron, which was he first Centaur discovered, in 1977. This minor planet may have rings, and seems to present some cometary activity, which cause needs to be discussed. This is the topic of the present study, i.e. Activity of (2060) Chiron possibly caused by impacts?, by Stefan Cikota, Estela Fernández-Valenzuela, Jose Luis Ortiz, Nicolás Morales, René Duffard, Jesus Aceituno, Aleksandar Cikota and Pablo Santos-Sanz. This study has recently been accepted for publication in The Monthly Notices of the Royal Astronomical Society. Chiron was the first discovered Centaur, i.e. the first asteroid / small planet, which orbits between the orbits of Saturn and Uranus. It was discovered in 1977, in the sense that it was identified in 1977. But reexamination of past photographic plates show that it has in fact been observed since 1895. And from the reanalysis of the pre-discovery observations, it was easy to determine an orbit. The orbital period of Chiron is a slightly longer than 50 years, which means that we dispose of astrometric observations over more than 2 periods. This orbit is highly eccentric, which results in large variations of the distance to the Sun, i.e. between 8.43 AU (astronomical units) at perihelion, and 18.86 AU at aphelion. A spectral analysis of Chiron reveals a C-type, i.e. a carbonaceous, object. 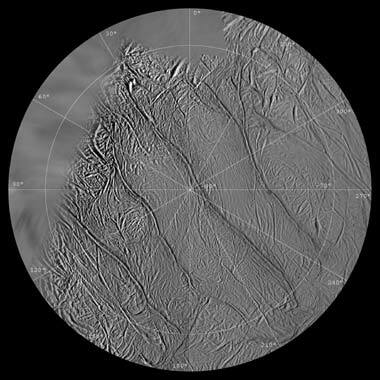 Moreover, it shows large variations of brightness, which are considered to be partly due to cometary activity, and partly due to rings. This cometary activity makes that Chiron, officially the asteroid (2060)Chiron, can also be called the comet 95P/Chiron. The presence of rings around Chiron is not unanimously accepted in the scientific community. Unexpected stellar occultations by something orbiting close to Chiron could be interpreted either as cometary jets, or as rings. But the large variations of brightness and the discoveries of rings around Chariklo and Haumea speak for the presence of rings. The discovery of rings around Chariklo was very surprising, and showed that it is possible. The discovery around Haumea has shown that rings around such bodies were not exceptional. So, why not Chiron? In this study, the authors clearly state that they believe in the presence of rings, and they use it to study the brightness of Chiron. These rings would have a radius of 324 ± 10 km, which is inside the estimated Roche limit of Chiron, i.e. the particles constituting the rings could not accrete into a larger body. But the central point is the cometary activity, i.e. evidence for cometary jets is reported. Classical comets behave this way: these are dirty snowballs, i.e. made of ice, dust, and some other elements. When approaching the Sun, the comet gets so warm that the ice is sublimated. But a Centaur with cometary activity is different, since it does not get closer to the Sun. Moreover, Chiron is essentially carbonaceous. So, another cause has to be found. And in such a case, it is often tempting to invoke impacts. 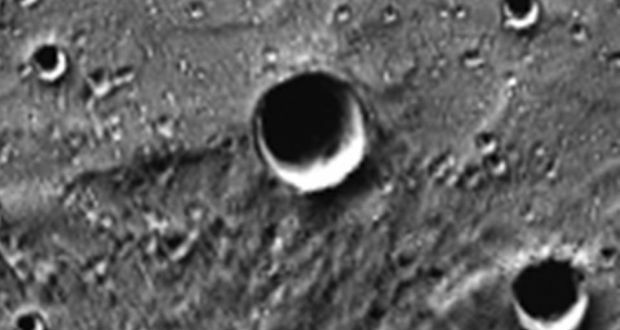 A problem is that impacts are not that frequent in that region of the Solar System. First because the gravitational action of the Sun tends to focus the orbits of the potential impactors, i.e. they will be more inclined to get closer to the Sun, and second because, the more distant from the Sun you are, the emptier the space appears, this is just a geometrical effect. The consequences of these effects is that a collision of a 1km-radius comet is expected on a body like Chiron every 60 Gyr… while the age of the Solar System is 4.5 Gyr… quite unlikely. Anyway, Chiron is known to have some cometary activity, and the author tracked it from Calar Alto Observatory (CAHA) in Almeria, Spain, during 3 observation campaigns, between 2014 and 2016. The first campaign was primarily devoted to the study of the rotation of Chiron, and consisted of 3 runs in 2014, using the 3.5 and the 1.23 m telescopes. 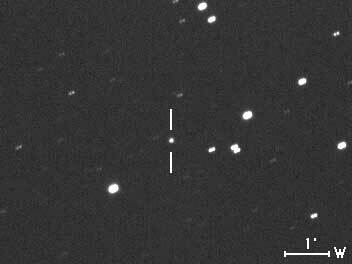 The second campaign was conducted in September 2015 on the 2.2 m telescope, with the CAFOS instrument (Calar Alto Faint Object Spectrograph), and looked for rotation, absolute magnitude, and cometary activity. The third campaign took place on 2016, September 2, to get a better constraint on Chiron’s absolute magnitude, once again with CAFOS. The authors were particularly interested in the photometry, since cometary jets translate into variations of brightness. For that, they had to correct the variations due to observational constraints, and to the orientation of Chiron. 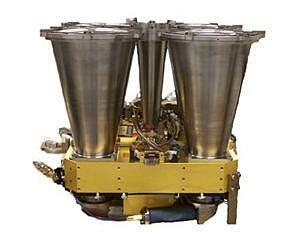 the detectors are different, even on the same instrument,etc. To try to make things as proper as possible, the authors corrected the images from flat fielding, i.e. from the variations of the response of the CCD chip, and they observed a large enough field (at least 16 arcmin), to have the same stars as photometric references. the orientation of the rings. The authors do observe a small cometary activity on Chiron, which is pretty faint. It has actually been stronger in the past, a measurement in 1973 showed a peak with respect to another measurement in 1970, and since then the coma is monotonously decreasing. The authors interpret that as a possible small impact having occurred between 1970 and 1973, the associated coma tail having almost disappeared. This activity appears to be supplemented by a continuous micro-activity, which could be due to impacts by small particles falling from the rings. 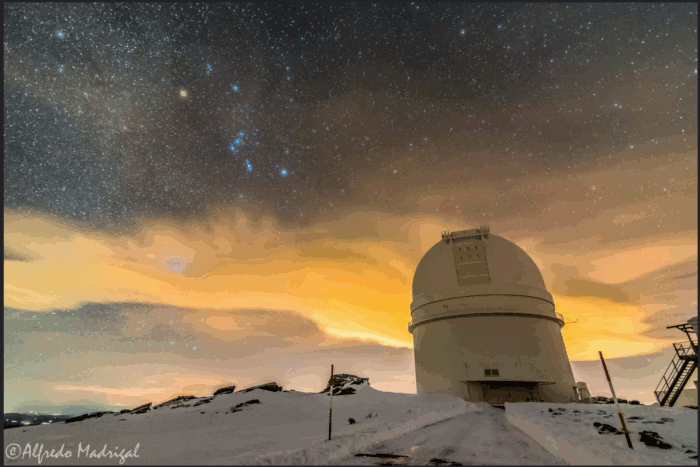 The Calar Alto Astronomical Observatory, i.e. 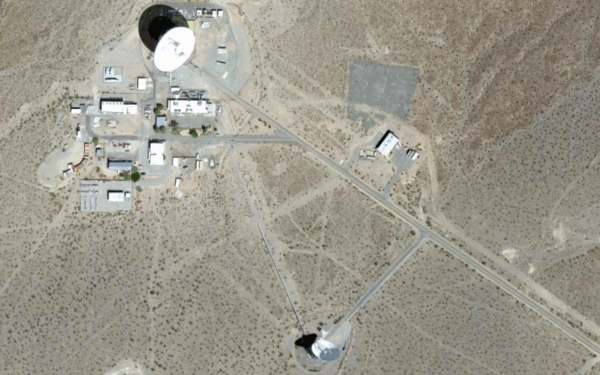 CAHA for Centro Astronómico Hispano-Alemán (German-Spanish astronomical center). The observations have been conducted there. and the IAU page of Pablo Santos-Sanz.